Trying to rush potty training in order to meet a back-to-school deadline at preschool? 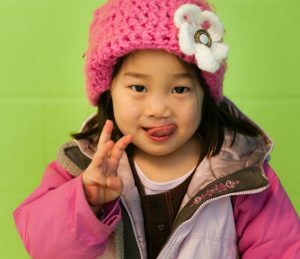 With a few adjustments to your strategy (and definition of success), your child will be ready for preschool in no time. You had a plan. Long summer days stretched out before you. You were going to dedicate three entire months to potty training your child before preschool started in the fall. But for one reason or another, things didn’t go quite as planned. Preschool is right around the corner, and your child has to be potty trained in order to attend. If this is you, you are NOT alone. We’re here to help. For a lot of people, potty training means that you ditch diapers forever. Unfortunately, that can take a long time (even years). Focus your training on the time of day that your child will normally be at preschool, and relax about the rest of the day for now. 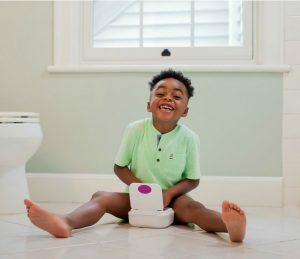 Remember – potty training is a process that can’t always be done in three days – and for whatever reason, you’ve held off until the last minute to start that process. Focus on the ultimate goal (getting to go to preschool), and don’t panic about the rest. It will all come together eventually. Staying dry overnight is an even longer process than simply being potty trained. (You can read more about overnight potty training here.) For now, accept that your child will most likely need to wear diapers at night. Your child might also need to wear diapers at all times while he or she is NOT at preschool. Re-read tip #1, and focus on the ultimate getting-to-preschool goal for now. When you’re ready to implement a full potty training strategy, this is a good place to start. Small incentives, like a potty training chart or candy, are a common part of the potty training process. While most parents include a sticker chart as part of their potty training journey, the talk of rewards or “bribes” can spark a lot of debate among parents. Luckily, you can skip that debate because you don’t have time. If you’re in the middle of last-minute, back-to-school potty training, you might need to rely a little more on bribes than the average person. Just remember that your goal is getting your child to preschool, even if that means they’re eating a little more candy than usual. For some centers, pull-ups are allowed. For others, underwear is required, but they are more than willing to help and encourage your potty training plan. For example, if you are needing your child to sit on the potty every 30 minutes, they might be able to keep that going at school. Some centers might even allow diapers, but they’ll call you in to change poopy diapers. Don’t feel like you’re a failure or admitting defeat by calling your preschool to get the full scoop on their potty training policy. You definitely won’t be the only parent calling, and you might find that you have more time or flexibility than you originally thought. We already talked about redefining your goal in tip #1. Now let’s get really real about what “potty trained” might look like for you. Your child will wear underwear to preschool. It’s possible that you will have to bribe him or her to keep them dry until pick up. Your child might put on a diaper or a pull-up the moment that preschool is over for the day. And that’s okay. Your child will probably still wear a diaper overnight. No worries! Some kids don’t ditch the nighttime diaper until age 5 or older. Your child may refuse to poop on the potty for the next several weeks (or even months). Don’t worry. This is completely normal. If your child goes from wearing diapers 24/7 to wearing underwear while at preschool, that’s great news, and it’s a great step on the road toward potty training success. You’ll most likely find that within a few days or weeks of starting preschool (and seeing friends wearing underwear and using the toilet), your child will want to be potty independent too. Click here for more potty training resources and to sign up for our FREE potty training program.